Nordic and Baltic Farmhouse ales are based on domestic brewing traditions, and their shelf life is short. Hence these ales are rarely exported and can be difficult to find even in their homelands. Nevertheless, some commercial breweries have specialized in crafting them. This short guide helps you to find sahti in Finland, koduõlu in Estonia and kaimiškas in Lithuania. In Scandinavia commercially made traditional ales are harder to find, but I have included a section on Norway too. Six commercial breweries in Finland specialize in sahti. However, usually only two of them, Lammin sahti and Finlandia Sahti, are available in bigger Finnish cities. Sahties of Hollolan Hirvi and Olu Bryki Raum are available at some beer festivals. Pihamaan sahti and Hartolan sahti are mostly available on the spot, in Heinola and Hartola. Also the Finnish craft breweries make occasionally sahti, but the availability is usually short-term. In the Finland’s capital Helsinki you’ll be able to find sahti from these pubs: Bryggeri Helsinki (Lammin), St. Urho’s Pub (Finlandia), One Pint Pub (Finlandia), Villi Wäinö (Lammin) , Zetor (Lammin), and Savotta (Lammin). In Tampere Kahdet Kasvot usually stocks Finlandia. My local Vihreä Haltiatar in Jyväskylä has Finlandia available most of the time. Finlandia sahti is also sold in selected stores of Alko (state owned liquor stores). If you are in Helsinki, the most central Alko Arkadia at Salomonkatu 1 is a safe bet. Often Finnish beer festivals have at least one or two sahtis which would be otherwise difficult to get. Consider for example these festivals: Helsinki Beer Festival (April), OlutExpo in Helsinki (October), and Suuret Oluet Pienet Panimot beer festivals (“Great Beers, Small Breweries”), which takes place in several cities during summertime. If you happen to be in Finland in the beginning of August, a visit to the National Sahti Competition is worth considering. Admittedly that would be hard-core beer traveling and getting there is not easy, but you would be able to sample 40–50 homemade sahtis. The location varies each year within the traditional sahti regions in the countryside of Finland. The next competition will be in Karvia on 4th of August 2018. To see the mood, watch this video from the National Sahti Competition in 2015. Few commercial breweries produce koduõlu on the Estonian islands of Saaremaa and Hiiumaa. Taako Pihtla Õlu by Pihtla Õlleköök is the most widely available, and usually sold in some beer cafes in Tallinn, such as Põrgu Õllelokaal and Koht. On Saaremaa this ale is sold in several pubs and restaurants, as well as from the brewery shop and taproom. A smaller homebrew-like brewery Pihtla Pruulikoda makes Pihtla Õlu that is available on Saaremaa, and in Põrgu Õllelokaal in Tallinn. Despite the similar names, these two are separate breweries that reside on the same village of Pihtla. For more details, see Larsblog articles Pihtla Õlleköök and Aarne Trei (Pihtla Pruulikoda continues the heritage of koduõlu master Aarne Trei). Hiiu Õlle Koda is a brewpub on the island of Hiiumaa, but their koduõlu is sold only at the premises. Some farmhouse brewers have a license to sell their koduõlu, but the availability is mostly limited to some special occasions like local festivals. Taako Pihtla Koduõlu at Põrgu Õllelokaal in Tallinn. Põrgu’s non-alcoholic kali, loosely based on traditional farmhouse table beer, is tasty too. This section is based on my tour to Norway in June 2017, and the advices I got from Lars Garshol, the author of the book Gårdsøl – det norske ølet on Norwegian farmhouse ales and Larsblog. The only Norwegian farmhouse brewery which actually sells beer is Granås Gård in Hegra (about 45 km east of Trondheim). Tastings, tours and beer to take away are available on the farm. It is best to call ahead, to be sure that the Granås Gård Hegra Maltøl is available. These two places offer traditional farmhouse ale as a part of dinner and tour: Smalahovetunet in Voss (in western Norway, 110 km east from Bergen) and Storli Gård in Oppdal (120 km south of Trondheim). The latter doesn’t always have beer, so you need to check with them before going. By the way, the house speciality Smalahovetunet is burnt sheep’s head. These beers are sold commercially in Norway, but the availability is limited. In 2016 Klostergården Håndbryggeri built a traditional style malthouse, and now they can produce traditional alderwood-dried malt for own use. The first beer made with 100 % of those malts is Såinn, a superb smoky flavor bomb, but unfortunately the availability is yet limited (at least in June 2017). I think that this beer is a fine example of a maltøl, although it is not marketed as such. Klostergården inn and the restaurant is an excellent place to stay and sample the beers if you are driving around Trondheim and Størdal (accessible only by car). Now several Norwegian breweries are experimenting with traditional farmhouse yeasts and malts, and in the forthcoming yeast we will see plenty of commercial beers made with those ingredients. Some of the breweries are using the ingredients for creating new flavors, but surely some brewers will aim to create authentic commercial maltøl. 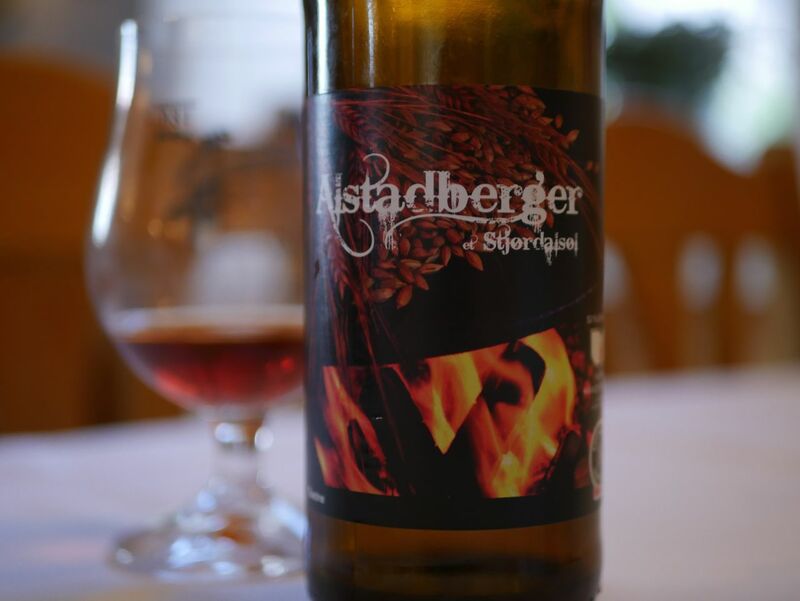 Klostergården’s Alstadberger is made with 52 % of traditional alderwood smoked farmhouse malts, and it brings out excellently the rich taste of alderwood smoke in the style of Stjørdal’s farmhouse ales. The beer is sold in some Vinmonopolets (Norwegian state owned liquor stores) and bars in Norway, and I heard that the beer is distributed by B United to the USA. In 2018 it was available through Systembolaget in Sweden. Lithuania is by far the best country to sample commercial farmhouse beer. 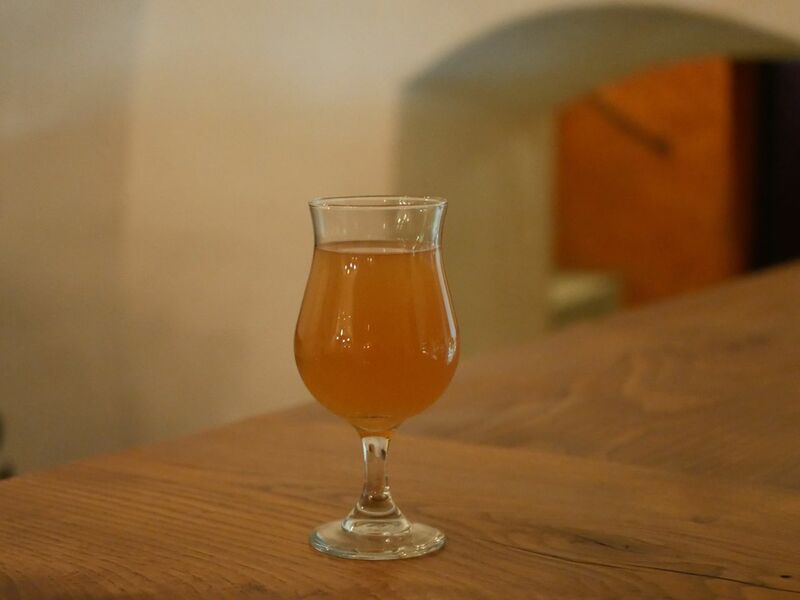 The country hosts several commercial farmhouse breweries, and the beers are fairly well available in beer bars in bigger Lithuanian cities, such as Vilnius. Lars Garshol’s Lithuanian beer – a rough guide tells all you need to know. As far as I know, Gotlandsdricke is not sold at all in Sweden, and commercial farmhouse ale is not available in Latvia. This story was originally published in September 2016 as part of my Introduction to the Nordic and Baltic Farmhouse Ales. The introduction grew very long and in January 2017 I worked and extended the text into its own article. The introduction was renamed to Sahti and Related Ancient Farmhouse Ales. February 1, 2017: added the section on Norway. June 15, 2017: updated section of Norway based on my travels, added Finnish beer festivals in summer 2017, and added a phot of Taako Pihtla. October 31, 2017: updated info on Finnish beer festivals and National Sahti Competition. July 16, 2018: updated section on koduõlu. February 2, 2019: changed Lapin voima brewery to Olu Bryki Raum. Updated small availability details. Hi! Thanks for your blog! Really useful info. Thanks, I will update that!